In a jazz climate that rewards neo-conservative tributes and far-flung exercises in deconstruction, David Weiss has distinguished himself another way – through finding flexibility and innovation in music that has its roots in the mainstream. The trumpeter, composer, and arranger has had the opportunity to learn from some of the music’s quintessential figures by touring and/or recording with the likes of Freddie Hubbard, Charles Tolliver, Billy Harper, Bobby Hutcherson, Slide Hampton, James Moody, Tom Harrell, Louis Hayes, Muhal Richard Abrams, Odean Pope, Geri Allen and Billy Hart among many others. Weiss leads several ensembles including the Point of Departure Quintet and the 12 piece Endangered Species – The Music of Wayne Shorter. His other band, The Cookers, is a well-known band featuring some of the greatest but perhaps under-recognized musicians on the jazz scene including the likes of Billy Harper, Eddie Henderson, George Cables, Cecil McBee and Billy Hart. The group which will be performing at the Yardbird Suite, the David Weiss Sextet, was formed in 2000 to explore new compositional concepts and styles. The sextet has release three CDs – “Breathing Room”, “The Mirror”, and most recently “When Words Fail”. 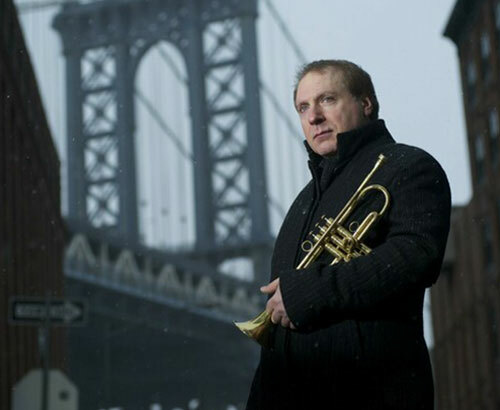 Besides Weiss on trumpet, the David Weiss Sextet features five other exceptional musicians, all of whom have sterling reputations as among the best jazz players around. These five performers include Myron Walden on alto saxophone, Marcus Strickland on tenor saxophone, David Bryant on piano, Eric Wheeler on bass and E.J. Strickland on drums.